I hope you are well. This location is just beautiful but it has been difficult to face the wind which is very strong. It is the only thing I still do not feel quite used to. 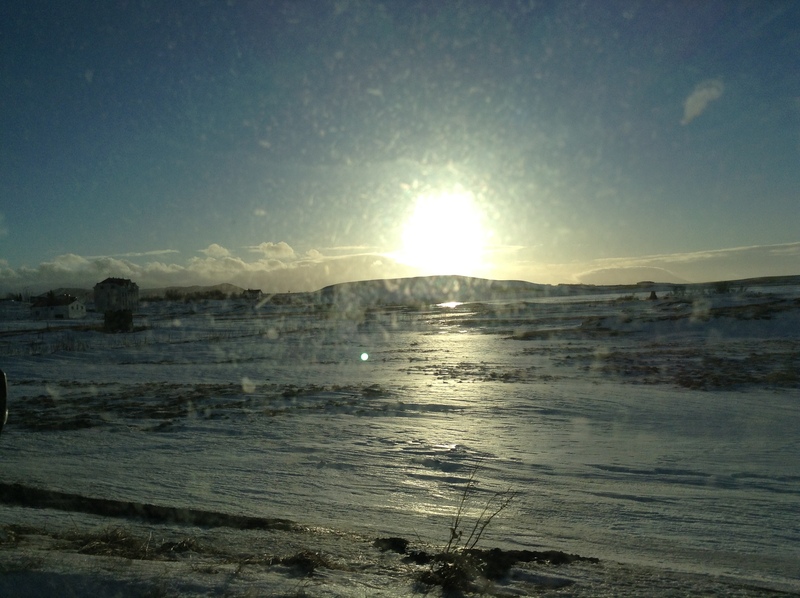 Sometime I feel depressed but it hasn’t anything to do with Iceland. Or may be yes, the light. I wrote to Ruri twice, to thank her for the beautiful things she showed me of her works, but she hasn’t replied yet. 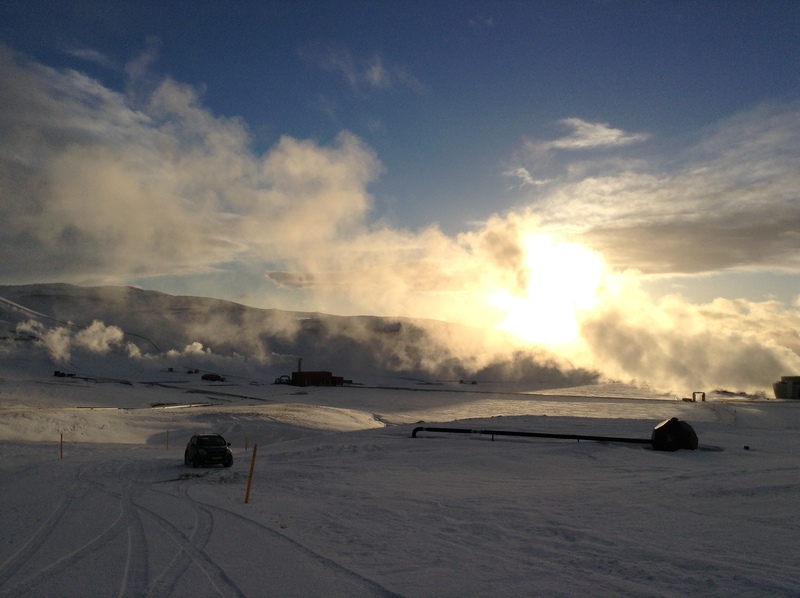 I want to go to Akureyri but not this week. It is snowing right now. Great to hear from you, Vittoria, I suppose the darkness doesn’t help if you are a bit sad, but on the other hand it is beautiful to see when the sun is rising! I remember it perfectly, around 11 am. Little by little the day becomes longer.The wind is something that you have to ‘used to’ – although there will be ‘cold still days’ as well, when you can listen to the cracking sound of the snow. We continue and don’t forget to tell me when you open your bloodspot. Dear friends, last summer 2013, Andres David Carrara designed my official website considering this blog , vivawitt , the archive of all my past work. 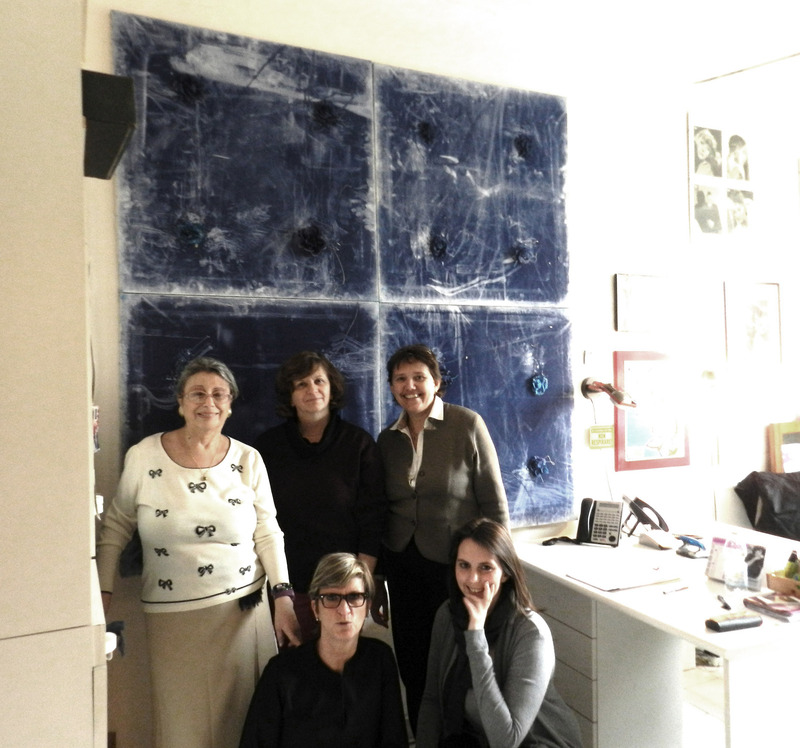 I will curate a show with Veronica Santi at 526 West 26th Street New York, opening October 24, 2013 where I will introduce to my American friends a group of young artists raised in the eighties by the art critic and historian Francesca Alinovi. The group’s name was: the Enfatisti (The Emphatists). Just a brief updating about my project, Il Leonardo Scomparso ( The Battle of Anghiari), started in 1996 and still quite alive. On April 15th, Prof. Martin Kemp gave an amazing lecture, It doesn’t look Like Leonardo, at Princeton University, Dept of Art and Archeology. He helpfully also presented one of my last painting, Anghiari Giallo e Blu, 2012, from the series about the Battle of Anghiari. March 20, 2013, via Piacenza 14. at 10:30. 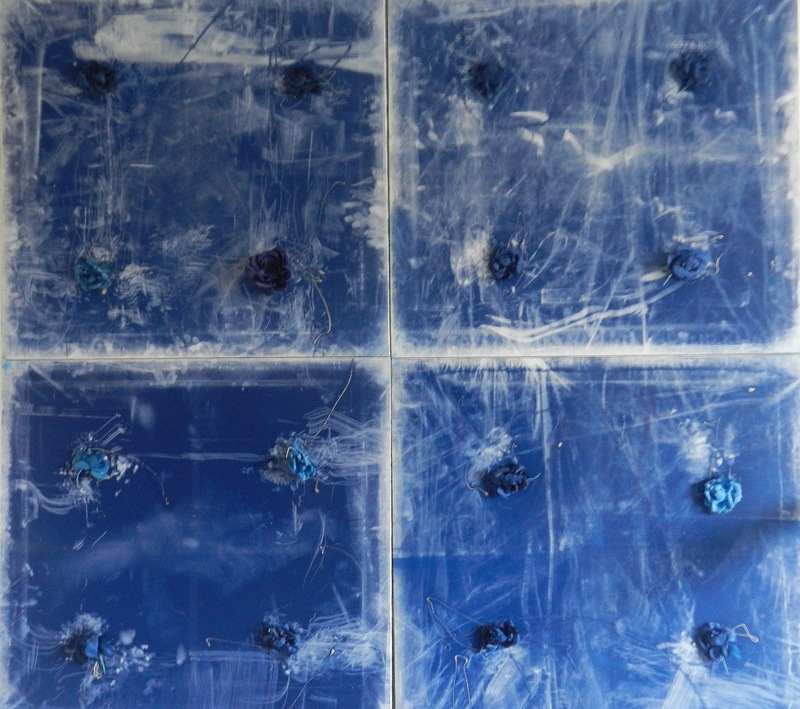 Presentation of Rose Blu, part of my polittico, Rose, a large work of 3 sections, pigment and cloth on canvas, a collage I realized in 1991 – 1992, whose single sections have been donated to different institutions and historical sites in Milano. 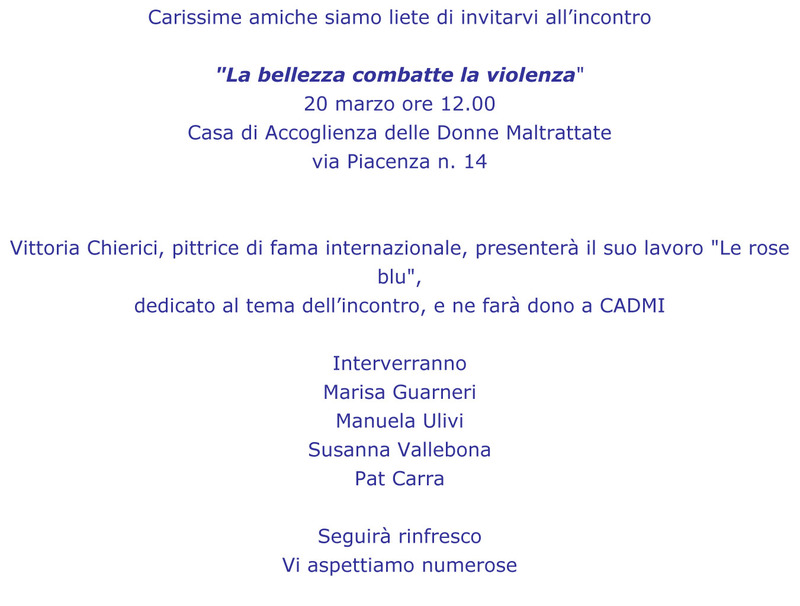 Rose Blu has been donated to the Casa delle Donne Maltrattate( CADMI). Cari amici, eccoci dunque all’appuntamento della mostra e consegna dei pezzi, circa 130 dell’edizione speciale, che ho dipinto al mio ritorno dal viaggio in nave nel mio studio a New York. La mostra aprira’ negli spazi della Galleria, ai Frigoriferi Milanesi in via Piranesi 10, il 7 Febbraio, alle ore 19. La consegna dei dipinti ai sostenitori del mio progetto che gentilmente un anno fa hanno acquistato un mio lavoro sulla fiducia, avverra’ il 10 Febbraio dalle ore 15 alle ore 19. 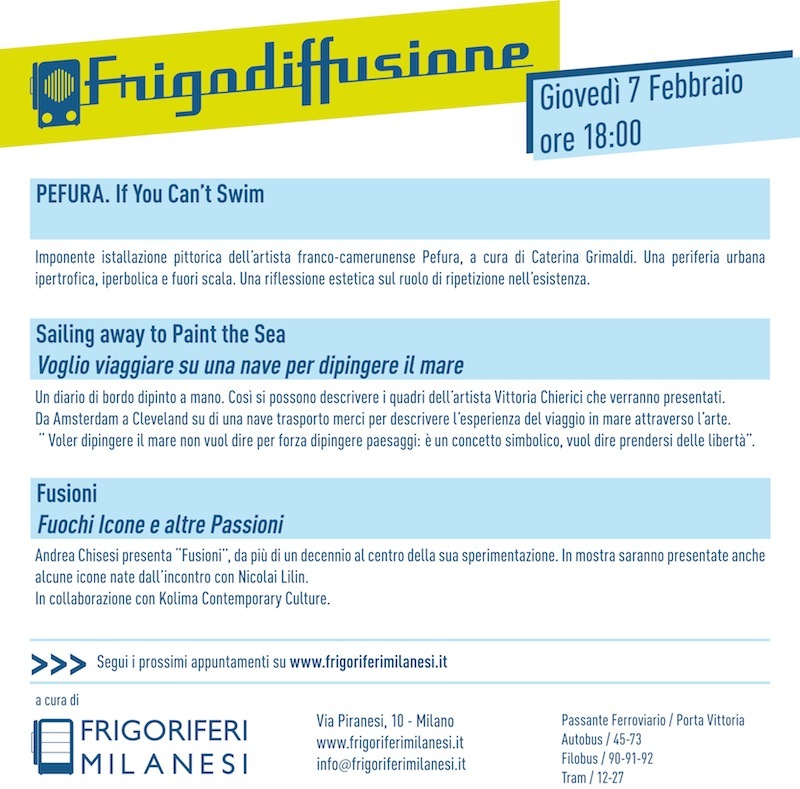 Dear friends, my show in Milano based on the project Sailing away to Paint the Sea will be opening February 7, 2013 at the futuristic space for the arts, the Frigoriferi Milanesi. Here, in the space called the Galleria, I will exhibit 130 paintings, 10 x 12 in, canvas on boards, most of which have been purchased last year to fund my project. Friends and supporters will withdraw their paintings on Sunday February 10th, from 3pm to 7 pm.During the exhibition two films will be projected to document my journey on the freighter vessel Isolda which left the steel Tata factory in IJmuiden, Holland, on June 22, 2012 to arrive at the port of Cleveland, Ohio the morning of July 5th, 2012. Here is the PDF of a very good article by Francesca Tarantino about my project, Voglio viaggiare su una nave per Dipingere il Mare/ Sailing away to Paint the Sea and about my solo exhibition which is still on view until Nov. 18 at the Stephen B. Luce library, SUNY Maritime College.